← NSA Leak: Why not the Times? 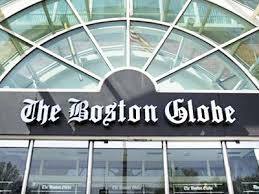 Who will buy the Boston Globe? The Boston Globe carries a story today about the impending sale of the newspaper by its owner of the past two decades — the NYTimes Co. Bids are due by June 27. As a regular reader, I hope, of course, that the new owners will be very, very rich people with very, very high standards of journalistic integrity. I hope they will be innovators who have a clue about how to make a business out of quality journalism. I also hope they really care about Boston and New England. I hope they have the nerve to stand up to people like Whitey Bulger (and Billy Bulger, for that matter) and an appreciation for why this is a special place. (Yes, every place is special, but I am looking for someone who gets the particular special-ness of this particular place; in other words, no Sam Zells, please.) I hope they have wit, and style, and grace. Chris, how about if you and I buy it? Very well said. The NSA is much less a threat to democracy than the unwillingness of people to spend half as much for quality journalism as they will for quality lattes. Blogging and other forms of “People’s Journalism” are fine, but are much less likely to uncover public corruption, police brutality or the influence of lobbyists than a good team of newspaper journalists. When the Huffington Post makes its owner a fortune while the Philadelphia Inquirer, New Orleans Times Picayune and Denver Rocky Mountain News go bankrupt, we all lose.